Winterthur does not always acquire objects in pristine condition, untouched by time. For some objects, the years have not been kind. At some point, they have been purposefully altered, accidentally broken, or their histories forgotten. However, in their new state, these objects take on new meanings, tell new stories, and remind us that history can always be rewritten. The Accident in Lombard-Street by Charles Willson Peale (1741-1827). 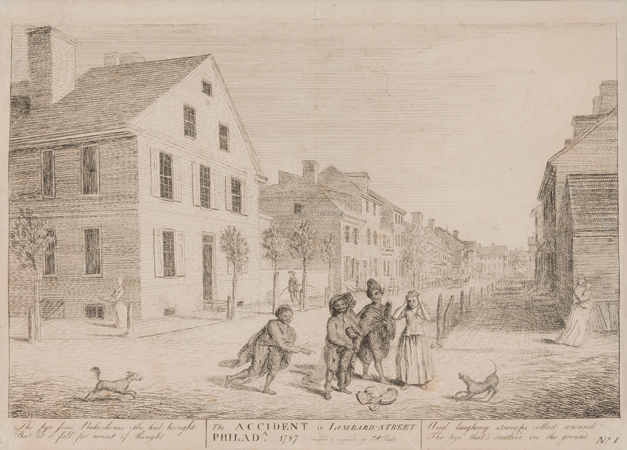 Philadelphia, Pennsylvania; 1787. Ink on laid paper. Museum purchase with funds provided by Caroline Clendenin Ryan Foundation, Inc. 1962.88a. 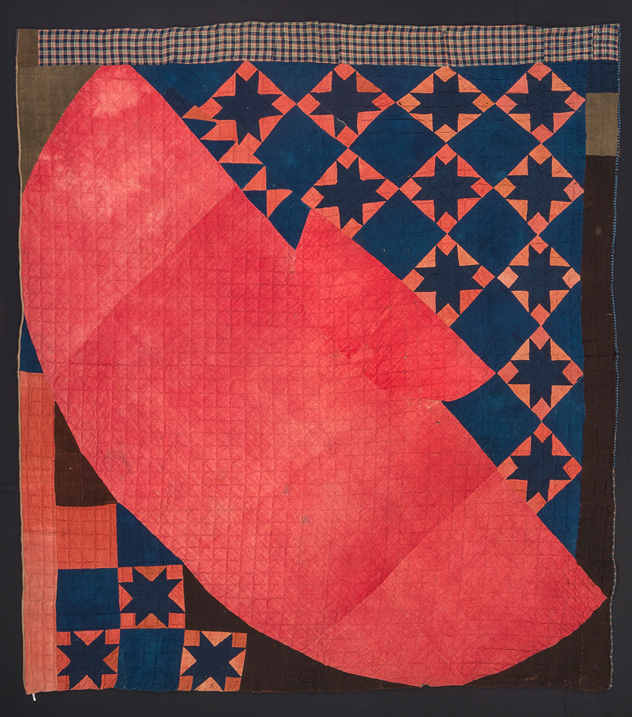 An extraordinary early nineteenth-century quilt featured in Winterthur’s exhibition Collecting for the Future: Recent Additions to the Winterthur Collection exemplifies how objects can be repurposed over time but still preserve fascinating information. Quilt with inset eighteenth-century men’s cloak. Possibly made by Myranda Codner Patterson (1808-1881), possibly Ohio, early 1800s, wool. Museum purchase with funds provided by the Henry Francis du Pont Collectors Circle 2016.0017. 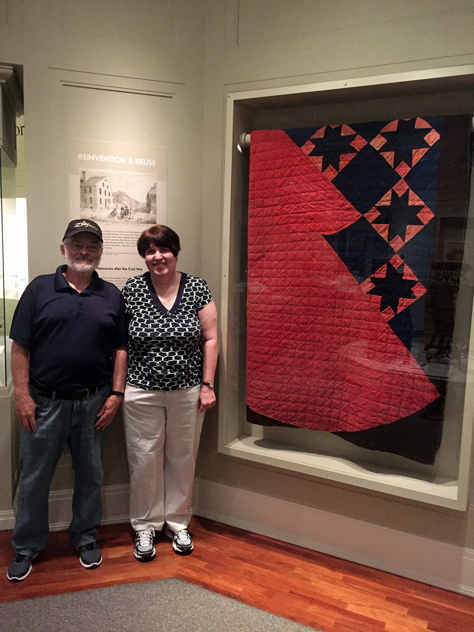 This quilt has a unique appearance and connection to the Revolutionary War. While the quilt’s checkerboard star design is fashioned from pieced brown, blue, red, and patterned wools, the majority of the object is dominated by a large semicircular red textile. This red fabric is an extremely rare late eighteenth-century men’s cloak, a piece of outerwear worn draped over the shoulders with an attached collar that folded down around the wearer’s neck. 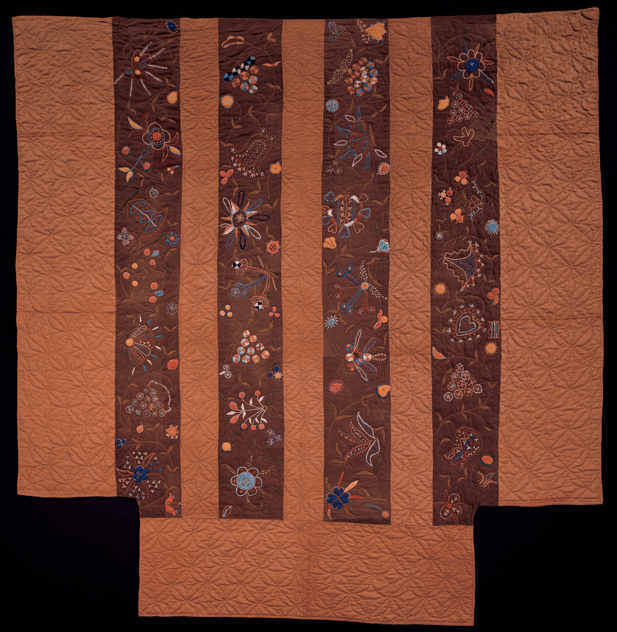 The cloak (and later the cloak quilt) descended through at least six generations in the same family before coming to Winterthur. 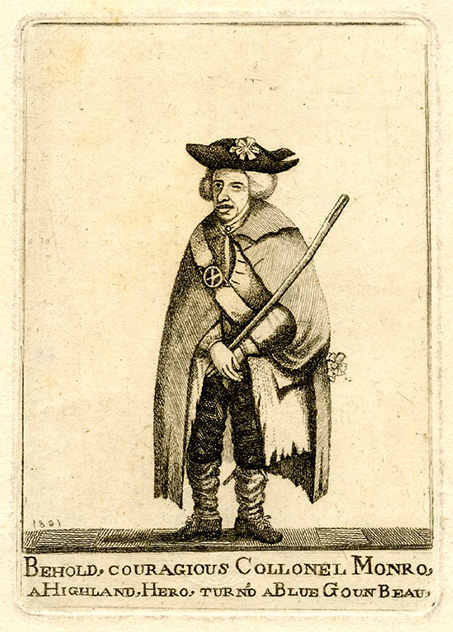 Family lore indicates that an ancestor who fought in the northern campaign of the American Revolution captured the cloak during a battle with a British soldier and kept it as a war prize. Which ancestor and which battle is still unclear, but there are several strong possibilities. 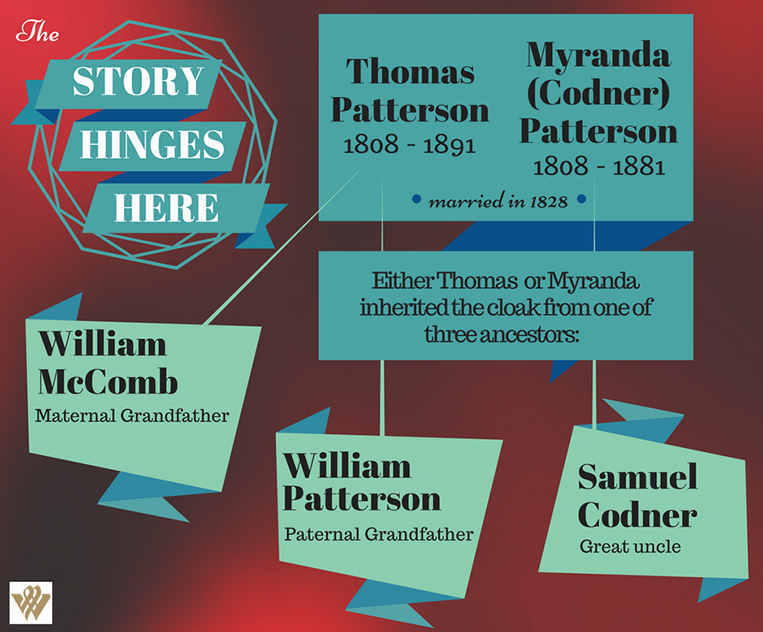 The earliest documented family owners of the quilt are Thomas Patterson (1809–1891) and his wife, Myranda Codner Patterson (1808–1881), from Ohio. Myranda likely created the quilt in the early nineteenth century, perhaps around the time of her marriage to Thomas in 1828. However, how they came to possess the cloak is a matter of debate. Both of Thomas’s grandfathers fought in the Revolutionary War, so it is possible that one of them was the soldier who captured the cloak. However, the recollections of John Grover McGuffey (1888–1980), the great-great-uncle of the final family owner of the quilt, tell a different story. According to John, his “Grandmother Patterson” received the red cloak from her “Uncle Codner,” who moved to Ohio and died in Hardin County. Others in the family recall that Uncle Codner’s first name may have been Sam. There are several options for the family ancestor who may have captured the cloak. Infographic by Anna South. Recent genealogical research confirms that a Samuel Codner, born about 1769 in North Kingstown, Rhode Island, moved to Ohio and died in Hardin County on March 30, 1833. This Samuel would have been too young to fight in the Revolutionary War, but his father would have been of the Revolutionary War generation. If Samuel received the cloak from his father, he then might have passed it on to his niece Myranda, who incorporated it into the quilt now at Winterthur. Historically, it was common to recycle fabric into new projects. Quilt makers frequently recycled clothing or colorful printed fabrics into their quilt designs. For example, the now-unknown maker of a rare embroidered wool quilt in the Winterthur Collection fashioned its dark brown stripes from the fabric of heavy full-wool breeches. However, it is only through close inspection of the dark-brown fabric that we can identify it as deconstructed clothing. There is no mistaking or ignoring the red cloak in Winterthur’s new quilt! Its maker designed the rest of the quilts around the intact cloak, perhaps reluctant to cut it up in the more traditional fashion since it viscerally symbolized the victory of America’s forces over their British enemy. This quilt is not the only known object to recycle the captured clothing of a British solider into new projects. 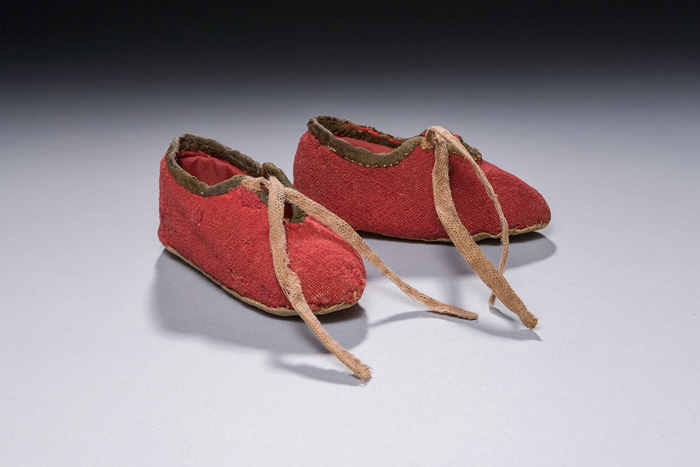 The wool from a British soldier’s coat was supposedly used to make a pair of baby shoes in the collection of the new Museum of the American Revolution. They descended in the family of Sergeant James Davenport of Massachusetts, who served in the Continental Army during the Revolutionary War. A shoemaker’s apprentice before the war, Davenport rose to the rank of sergeant in General Lafayette’s Light Infantry Division by 1781. After the war, Davenport and his wife, Esther Mellish, had eleven children! Although details are scant, it’s possible that Davenport captured the British coat during the war and created the shoes for one of his children. After all, creating clothing for the next generation of Americans seems a fitting way to celebrate the nation’s victory and independence. Baby booties potentially made from the wool cloth taken from the coat of a British soldier. Courtesy of the Museum of the American Revolution. From clothing to furnishing textile and now museum object, this reinvented item has a multilayered history, and we are thrilled to begin its next chapter here at Winterthur. Recently past and present collided when we welcomed members of the cloak quilt’s family for their first visit to Winterthur! Lee and Jane were able to see their family item on display in the galleries and spent a day exploring its new home, taking a house tour, and a garden tram tour across the estate’s 60-acre cultivated landscape. It is not an unusual occurrence to meet visitors with personal connections to the objects in our collection, and these miniature family reunions are always a treat for museum staff to witness. Winterthur collection objects have families too! Photo by Nalleli Guillen. The cloak quilt and other new acquisitions are now on view in Collecting for the Future: Recent Additions to the Winterthur Collection in the first floor galleries. I would like to thank a number of people for their assistance in researching this object and writing this blog: Jane and Lee, for generously providing extensive and invaluable genealogical records and family history relating to the quilt; Neal Hurst, curator of textiles at Colonial Williamsburg for his insight on historic foul weather gear; Matthew Skic, assistant curator at the Museum of the American Revolution, for providing information on the Davenport baby shoes at MoAR; and Anna South, Winterthur’s William and Mary Woody Intern in Museum Studies, for creating the genealogy infographic. Linda Eaton. Quilts in a Material World: Selections from the Winterthur Collection. (New York: Harry N. Abrams, 2007).